One month on from the Las Vegas shooting massacre on October 1st, and we still have no satisfactory answers for horrific events that took place at the Route 91 Harvest music festival. 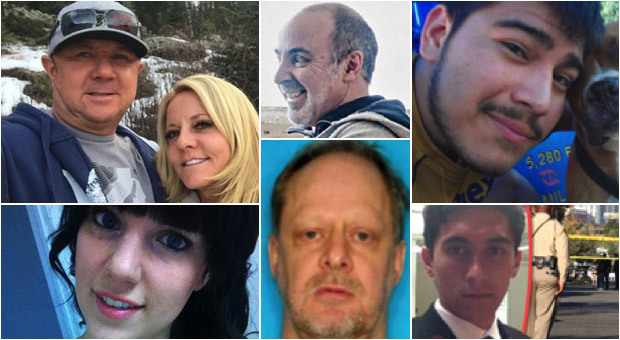 The mainstream media has all but given up on reporting on the attacks, now that it seems as though the public has swallowed the “lone wolf” shooter narrative, that claims Stephen Paddock acted alone in killing 59 people and injuring hundreds more. They all had information on the attack that contradicted the “official” narrative. What’s even more suspicious is that four of those seven eyewitnesses had given accounts that stated there was more than one shooter, and others died before they had a chance to speak. As the MSM and sits back, safe in the knowledge it pushed the failing “lone wolf” shooter narrative onto the public, people who hold vital information about the actual events that took place are being silenced. One common thread between these seven people is that their version of events offers fresh insight into what really happened, and some of them were giving eyewitness statements that directly conflicted with the story being pushed by the mainstream media and law enforcement officials. Let’s take a look at each of the dead witnesses one by one and examine their conflicting perspectives. 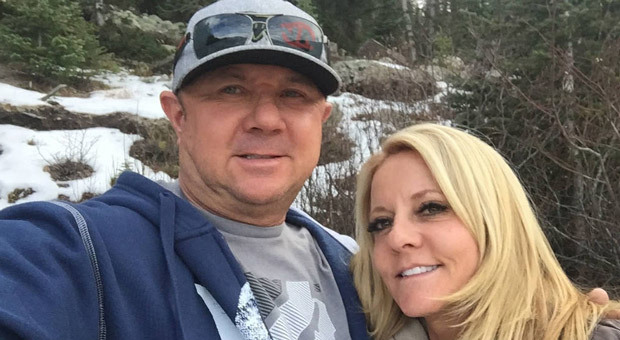 The latest eyewitnesses to die was a married couple from California called Dennis and Lorraine Carver, whose car suddenly veered off the road outside their home and crashed into a gate. Their car exploded on impact and killed both of them instantly. After escaping from the Las Vegas attacks unharmed, they later told how they were lucky to be alive. Mrs Carver described how her husband protected her from the “shooters” by shielding them inside a beer refrigerator until it was safe to run. Suspicions were raised much further, when a week after the fatal crash, the couple’s eldest daughter, Brooke Carver, received an item carrying memories of her 52-year-old father through the post. During the confusion of the shooting, he had lost his phone that was full of photos and videos from the night of the attack. His phone had somehow ended up in the FBI’s possession, but a Las Vegas agent promised to ship the phone back to him. “When we turned it on, all his photos and messages were still there,” Brooke said The question is though, why did the FBI take three weeks to return the phone? It has been widely reported that the phones and laptops of eyewitnesses were confiscated and wiped by the FBI, so why was Mr Carver’s phone returned seemingly intact? Brooke Carver says “all his photos and messages were still there,” but how would she know if anything had been deleted, as she wouldn’t have seen what was on the phone before the FBI had it. Could the Carver’s have captured something they shouldn’t have? In the same week, the Carvers were killed, 35-year-old Danny Contreras was brutally executed in an abandoned house in Las Vegas. His body was found in a vacant home in the northeastern valley after a woman heard a man groaning from inside the building and raised the alarm. 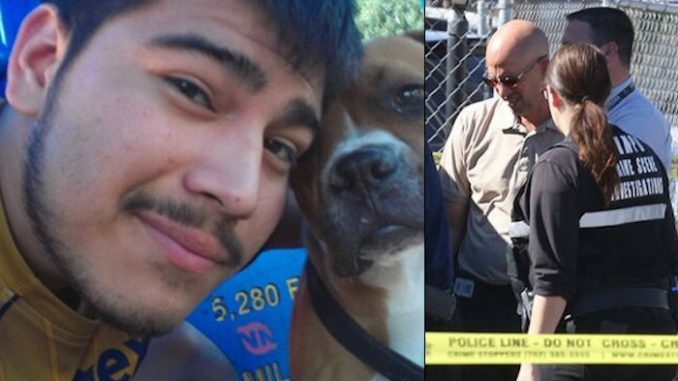 Police say Contreras was dead when they arrived to investigate at the 5800 block of East Carey Avenue, near North Nellis Boulevard, and had died as the result of several gunshot wounds. Chad Nishimura was a valet worker from the Mandalay Bay hotel, who parked the suspected Las Vegas shooting gunman’s car, and gave an interview saying Stephen Paddock was a “normal guy” who “didn’t have many bags”. Nishimura gave a statement to ABC affiliate, KITV4 News, but the article was later pulled from the network’s website. After his account was published, Nishimura disappeared and all of his social media accounts were deleted with his friends and coworkers saying he was “totally unreachable”. At the scene, churchgoers told police when they rushed outside after hearing the gunshot, they didn’t see any suspects or cars leaving the area. Chad Nishimura’s account seems to prove that Paddock didn’t carry bags of heavy machine guns and other deadly weapons up to his room. One of the biggest gaps in the official story is how he couldn’ve taken all those weapons up to his room and remain completely undetected. Nishimura’s report of “normal guy” Paddock arriving at the hotel without much luggage totally scratches that theory. 28-year-old Kymberley Suchomel gave a detailed statement that multiple shooters were firing weapons 28-year-old Kymberley Suchomel is perhaps the most well-publicized death following the massacre. Suchomel managed to escape the massacre, at the Route 91 Harvest Festival in Las Vegas, uninjured but made a public statement describing the attacks and how they were carried out by multiple gunmen that were firing weapons into the crowd. Her post on Facebook quickly went viral as it confirmed what many had already suspected: The mainstream media “official” narrative that Stephen Paddock was a “lone wolf” gunman was false. 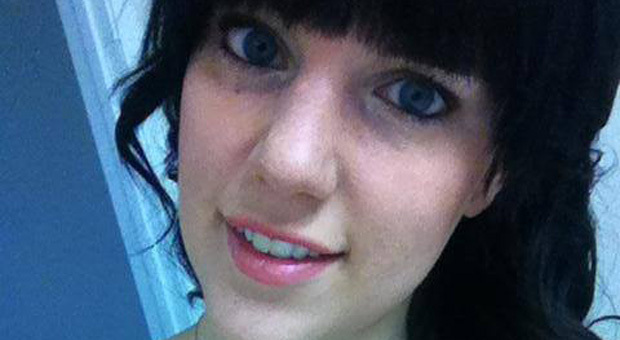 About a week after she gave this account, she was found dead at her Apple Valley home. According to her grandmother Julie Norton, Mrs Suchomel had died in her sleep, saying: “I believe the stress from the shooting took her life.” Shortly after news of her death broke, evidence emerged that Kymberley Suchomel had been in touch with other Las Vegas survivors who had also witnessed multiple shooters. John Beilman was one of the first vital witnesses to die, in relation to the Las Vegas shooting, when he killed himself and his disabled daughter in a horrific murder-suicide. John Beilman was wanted for questioning by federal agents in connection with a communications device discovered in suspected shooter Stephen Paddock’s hotel room. 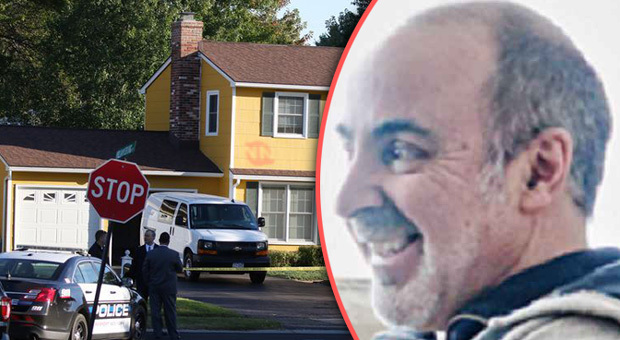 Agents executed a search warrant and raided Beilman’s Williamsburg Drive home the day before he took his daughter, Nicole, into the backyard and shot her and then himself in the head with a 12-gauge shotgun. 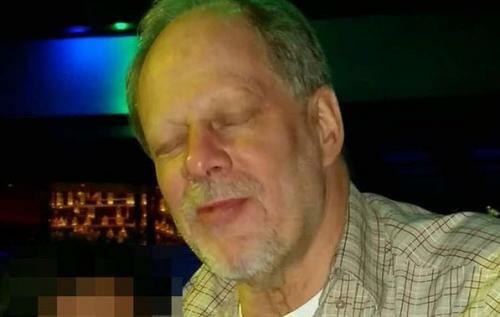 Quite possibly the most crucial witness of them all was killed during the attack: Stephen Paddock. Without the suspected shooter’s statement, we may never truly know why he was in the room with all those weapons. Whether this series of disturbing deaths and disappearances are purely coincidental or whether there is something deeply sinister afoot has yet to be determined. In cases like these, however, there’s no such thing as coincidence.